I exited the trade at 2300 to call it a day. 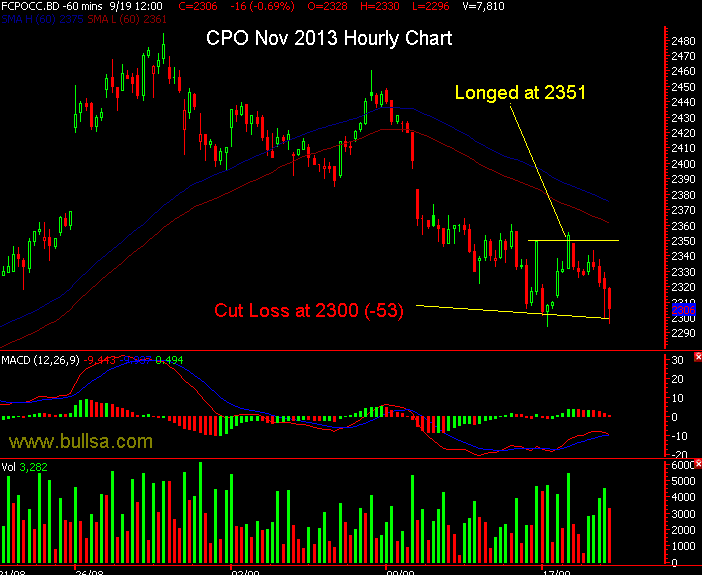 World commodities are up but CPO is down due to Ringgit Malaysia. What to do. Realize it and see how. I am in for Long too! Situation like this really makes us miserable. 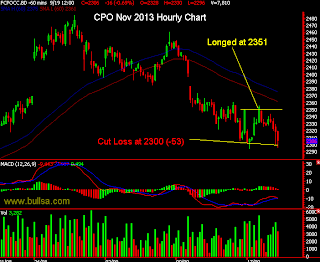 We loss because of CPO tied with Ringgit Malaysia :( What to do! Ponder this...why long and not short? Daily shows downtrend. 60min shows downtrend but you have one higher high, but where's the higher low? Maybe need further filter...ponder or think about it. Maybe wait for 2nd higher high to go in.